Rhymes of beasts with massive claws and jagged teeth inside their jaws. We want it! 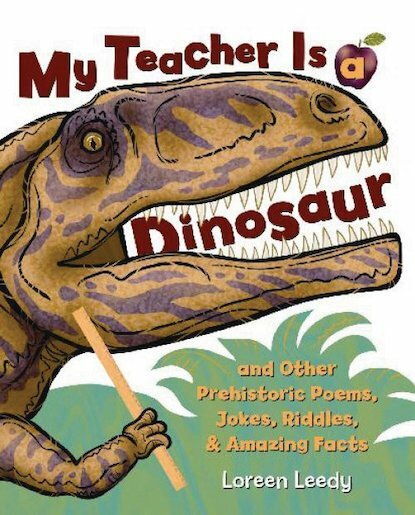 Take a whirlwind tour through prehistoric lands in this book of poems, funnies and riddles. It’s a journey from Earth’s fiery birth right up to the last Ice Age. What does that mean? Deadly dinosaurs! (Lots of them.) Prehistoric plants! Early human ancestors! See the violence of planets forming, and the wonder of life slowly evolving. What will you like most: the punchy colour pictures, fascinating facts, funny rhymes, jokes or riddles? Unique, legendary stuff.